It’s one of those perfect St. Louis days—sunny and 75 degrees. A wonderful day to plan an adventure for the entire family. You jump into the car and drive. Soon, you’re turning south onto Hampton Avenue and before long; you find a parking spot. As you pull the keys out of the ignition, a smile spreads across your face as you think of what this day has in store. 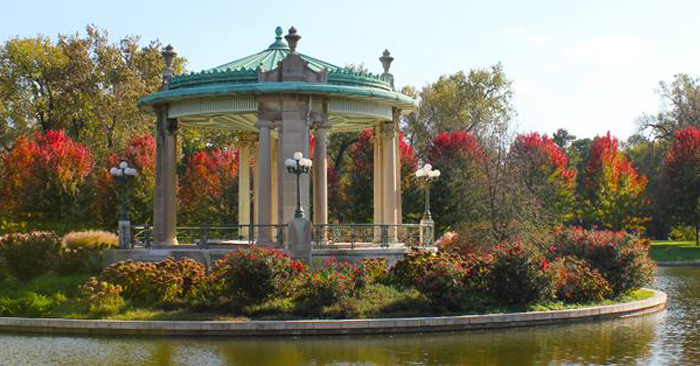 Originally opened in 1876, Forest Park is home to five major attractions: the Saint Louis Art Museum, the Saint Louis Science Center, the Missouri History Museum, the Muny and the Saint Louis Zoo. 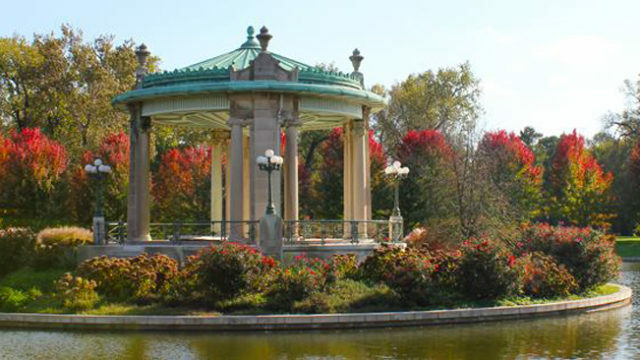 In addition to these attractions, Forest Park is also home to The Boathouse Restaurant, the World’s Fair Pavilion, and many festivals and annual events including: Shakespeare in the Park, St. Louis Microfest, Loufest and the Great St. Louis Balloon Race. With 1,300 acres to roam, there’s no chance you’re going to get bored. Whether you’re picnicking, going for a run or a bike ride, or just visiting one of the free attractions within the park, Forest Park is the perfect family getaway. Keep reading to get an in-depth look at St. Louis’ biggest and best green space. 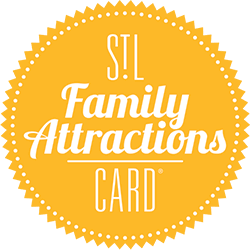 For more than 105 years the St. Louis Zoo has been a favorite family summer destination. With more than 600 species of animals and dozens of exhibits, there’s always something, or someone, new to see. Check out the penguins and other water birds at the Penguin & Puffin Coast, say ‘Hi’ to the Kali the polar bear, or visit with the elephants on the beautiful River’s Edge walking trail. The zoo is free and open daily from 8 a.m. until 7 p.m. If there’s one thing that St. Louis isn’t lacking in, it’s history. And no place covers our history better than the Missouri History Museum. Another free attraction, the Missouri History Museum houses an amazing collection of exhibits that honor the rich traditions of the area. It’s also home to great events, including theatrical performances, family festivals, special events, workshops, and the free Twilight Tuesdays summer concert series on the museum’s front lawn. And if you have little ones with you, make sure to check out the History Clubhouse, a space for families to foster a love of history, learning, and museums. You’ll step back in time, explore, discover, and play in some favorite St. Louis places in a welcoming environment where nothing is hands-off. It’s always a fun time at the Saint Louis Science Center. And if your kids aren’t careful, they may actually learn something too! Nothing is off limits at this interactive, hands-on science museum. You can dig for fossils, build a replica of The Gateway Arch, or feel what it’s like to be inside of a tornado. And once you’ve done everything there is to do at the science center, you can catch a flick in the enormous OMNIMAX Theatre. or take a trip across the bridge and go beyond the stars at the James S. McDonnell Planetarium. The Muny, short for The Municipal Theatre Association, is celebrating its 98th season, and nothing compares to taking in a show in America’s oldest and largest outdoor musical theatre. From classic performances to current Broadway hits, The Muny is the place for the whole family to watch theatre come to life. Our favorite part is that they offer about 1,500 free tickets to each show, available on a first come, first served basis. This year’s lineup of shows includes: Wizard of Oz, 42nd Street, The Music Man, Young Frankenstein, Mamma Mia, Fiddler on the Roof, and Aida. With over 100 galleries, the Saint Louis Art Museum is considered one of the leading museums in the country. Go back in time and see the unique lifestyles of many different cultures expressed through art, or check out more modern sculptures and photographs. Galleries range from African American Art to Arms and Armor to Prints and Drawings. And with three levels and constantly changing exhibits, there’s plenty of new art to explore every time you go. This newly expanded area of the park provides a comfortable atmosphere with gorgeous scenery; great for families to picnic and enjoy the summer sun. At the Jewel Box, there are free special events and shows offered during Christmas, early spring, Easter, Mother’s Day, summer and fall. Recently, a catering service has been added at the Jewel Box for wedding receptions, corporate meetings and parties. The Jewel Box is perfect for a scenic stroll alone, or with family and friends. After you’ve finished your safari at the zoo or explored the far reaches of space at the Science Center, enjoy a meal outside on the patio of the Boathouse Restaurant. The family-friendly menu features homemade soups, salads and sandwiches as well as kid’s meals. Enjoy their signature dish of fish and chips with your leashed dog on the patio. After dinner, take part in a tradition since the inception of Forest Park by renting a paddle boat for an hour and paddling around the various landmarks throughout the park. The Forest Park Pedestrian Paths run throughout the park, and the various paths provide runners and walkers with a good workout. There are designated paths designed specifically for runners, walkers and bikers. And don’t worry about running out of paths to travel; with a main path around the perimeter of the park that’s about six miles long and dozens more throughout the park, there is plenty of terrain to enjoy. For a complete rundown of everything Forest Park, check out Forest Park Forever. So whether it’s a perfect St. Louis day, or rainy and cold, Forest Park’s many offerings are sure to accommodate all locals and out of towners alike. Go for a run, enjoy an afternoon at the zoo, expand your mind at the Science Center, or just sit in the sun and do nothing at all!